(Montana Free Press) The first week of the 90-day Montana legislative session is typically uneventful. That might not be the case as the 2019 Legislature convenes on Monday. 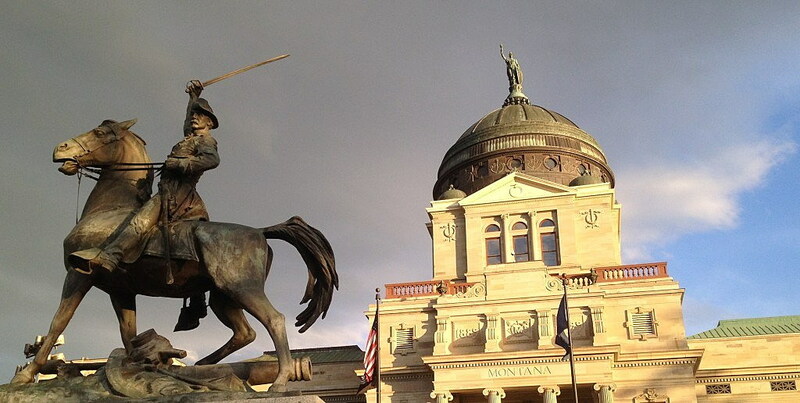 In the wake of #MeToo, the 2019 Montana Legislature’s Joint Rules Committee is considering a formal policy prohibiting discrimination and harassment at the statehouse. The proposed policy follows sexual harassment controversies that cropped up over the past year in states including Vermont, New Mexico, Arizona, and Colorado, and in the U.S. Congress. The Joint Rules Committee meets at 10 a.m. on Tuesday, Jan. 8, in Room 317A, where it will take up the draft harassment rules. At 1:30 p.m. on Wednesday, Jan. 9, lawmakers are scheduled to receive anti-discrimination and harassment training on the House floor. The draft policy includes definitions of harassment and discrimination, describes the complaint process, compels Legislative Human Resources to maintain records and confidentiality, and describes corrective action and disciplinary measures for complaints found to have merit. The most serious offenses could result in a lawmaker’s censure or expulsion from office. The 2015 HELP Act, which expanded Medicaid health coverage to nearly 100,000 low-income Montanans, is set to sunset in June. Renewing Medicaid expansion is a top priority for Gov. Steve Bullock and Democratic lawmakers this session. Some Republicans, too, have voiced their support for renewing the HELP Act, with a few tweaks — namely, adding some kind of work requirement. According to Legislative Services, lawmakers have so far requested 30 draft bills relating to Medicaid or the HELP Act . Two of those bills, both sponsored by Democrats, specifically repeal the HELP Act’s sunset provision. Another, sponsored by a Republican, seeks to “revise Medicaid [sic] expansion work requirement laws.” But the whopping majority of these requested bills don’t have drafts posted, and the working titles are vague, along the lines of “generally revising” Medicaid laws. Some are written with an apparent presumption that the expansion program will continue. That’s the case with HB 83, which seeks to eliminate the HELP Act’s oversight committee. It’s the first Medicaid-related bill on the docket for a hearing in the Joint Health and Human Services Committee, scheduled for 3 p.m. on Thursday, Jan. 10, in Room 152. A small group of Republicans calling itself the “Solutions Caucus” is working with Democrats to shake up the way the House of Representatives does business. A series of amendments to House Rules that first came to light in early December would prevent legislation from stalling in committees by allowing a simple majority — 51 votes — to “blast” bills out of committees and onto the House floor for a vote. Currently, such blast motions require 60 votes. The amendments would also curb some of the House speaker’s authority to assign bills to committees or create “kill committees” stacked with lawmakers he knows will defeat certain bills. The House GOP leadership opposes the changes since they would allow a small faction to sap the Republican majority power (Republicans hold 58 House seats this session; Democrats hold 42). During a House Rules Committee meeting on Dec. 4, lawmakers voted to adjourn without discussing the rules. It’s unclear when, if ever, the committee will take up the rules changes again, but with enough votes, Democrats and Republicans in the self-described Solutions Caucus could blast the rules fight to the floor as early as this week. Full membership of the Solutions Caucus remains murky, but some Republican groups have circulated a list of 14 GOP representatives they claim will support the rules change. The halls of the Capitol could get crowded Friday afternoon. The Montana Wilderness Coalition, Montana Audubon, American Rivers, and 11 other groups will host the third Rally for Public Lands at noon on Friday, Jan. 11. More than 1,000 public lands supporters attended the rally in 2017. Nearly 300 people have RSVPd on Facebook for the 2019 event, and organizers are coordinating carpools throughout the state. Key concerns for this year’s event include ensuring access and keeping special interests from meddling with access and mucking up land management. Gov. Bullock will give the rally’s keynote talk. Lawmakers in 2015 tried to pass legislation prohibiting minors from using tanning beds without their parents’ permission. That bill died in the Senate, but Sen. Roger Webb, R-Billings, is shining light on the teen tanning issue once again. In states with restrictions on teen tanning, the CDC found, teen girls were 30 percent less likely to tan indoors. At least 44 states regulate the use of tanning devices by minors, with some requiring parental consent and some requiring tanning shops to limit exposure time. Seventeen states and the District of Columbia have complete bans on teens using tanning beds. Montana currently has no restrictions. The Senate Judiciary Committee — the same committee where the 2015 tanning bill got burned — will hold a hearing on SB 21 in Room 303 at 9 a.m. on Thursday, Jan. 10. Contact Leia Larsen her at llarsen@mtfp.orgor (406) 465-3386.